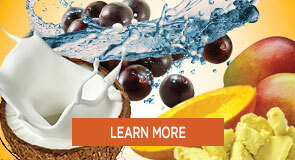 This creamy leave-in formula provides the ultimate in softness, detangling, and conditioning. 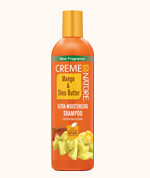 After shampooing with Creme of Nature® Mango & Shea Butter Ultra-Moisturizing Shampoo, rinse and towel dry. Massage throughout hair. Gently comb through making sure that the ends are treated. DO NOT RINSE OUT. Leave in hair. 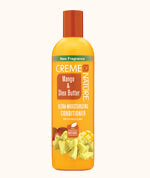 A leave-in conditioner can provide an extra layer of protection to the hair as you prepare to heat style. 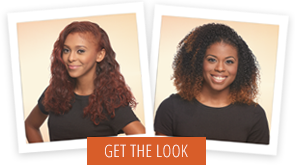 Prior to flat ironing, apply leave-in conditioner and let air dry/blow dry. Shea butter is a favorite ingredient for naturals and I definitely could feel the softness and moisturizing from the products. I would recommend this product. I'm a firm believer that when a collection comes out, you're supposed to use the whole collection. It just works better together. I would highly recommend it. The smell. Again, my hair was super soft and moisturized and the ingredients are really good. I would recommend the whole [collection]. Everything smelled really amazing -- like tropical paradise because it was really nice and fruity.